It happens every time I pack. I open the suitcase, turn my back for a second, and there’s a cat. Doesn’t matter if it’s empty. Or full. On the floor. On the bed. To a cat, a suitcase is a box — that a human seems to want to do something with. I guess that’s what makes it even more attractive. 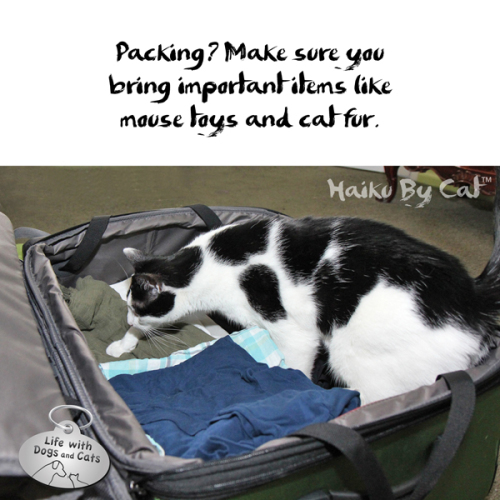 How do your pets help you pack? 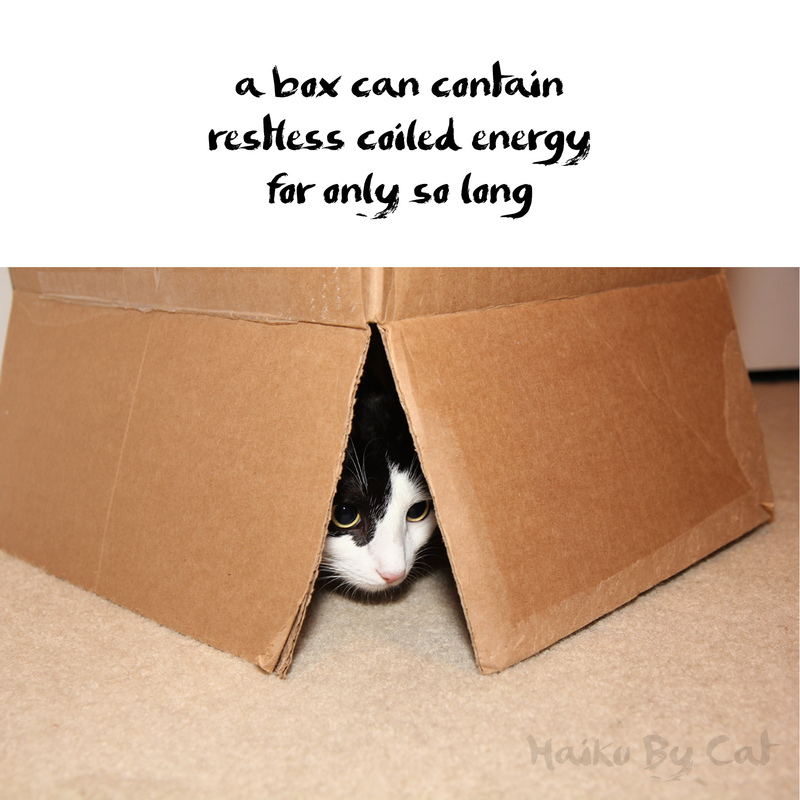 4 Comments on "Haiku by Cat: Packing"